Yeast, salt, water and durum wheat flour, this is all you need to make this excellent flatbread. The method for making 'carasau bread' is particularly complex and involves a long and laborous preparation with two separate bakings in order to obtain a product that is easy to keep for a long time, with an optimal flavour. 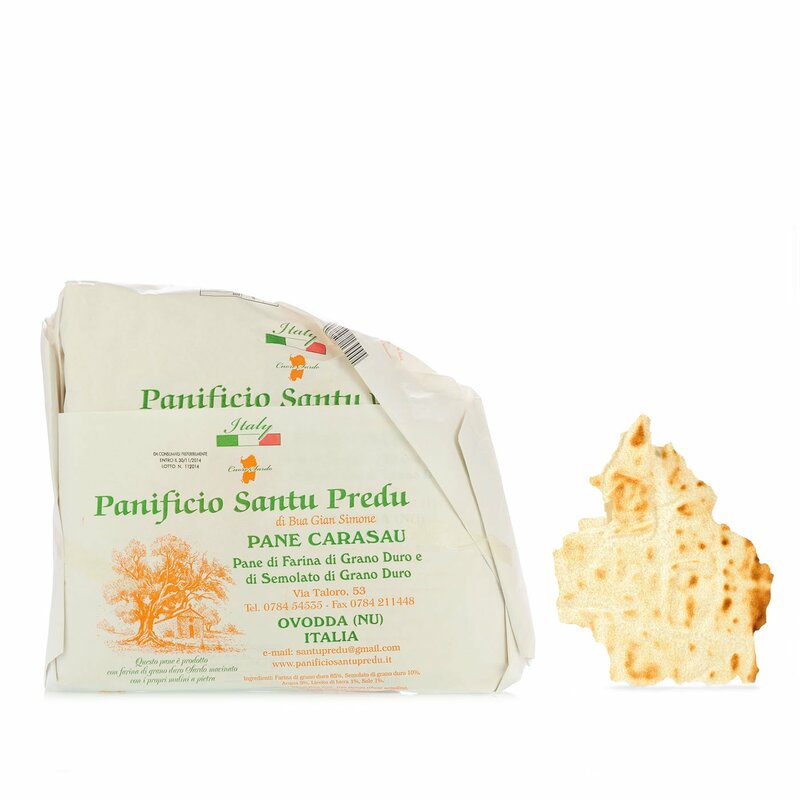 Eataly only offers you the best, which is why is selected Santu Predu! Ingredients durum wheat flour and semolina, brewer's yeast, water and food-grade sea salt. Allergens: contains gluten. For more information on product labels, please contact our Customer Service department. The information on the labels of the products may vary for reasons beyond our control, therefore, there may be discrepancies between the information on the site and that on the products delivered. Please always check the information on the product before consumption or use. Santu Predu located in Ovvodda. According to ancient local tradition, this is where the crispy carasau bread was created, a true point of reference in the Sardinian enogastronomic production. Eataly selected Santu Predu so you can serve the aroma and intense flavour of Sardinia at home.